A seasonal beachfront house for a husband and wife planning to entertain frequently and with a twenty something son who visits on occasional weekends. 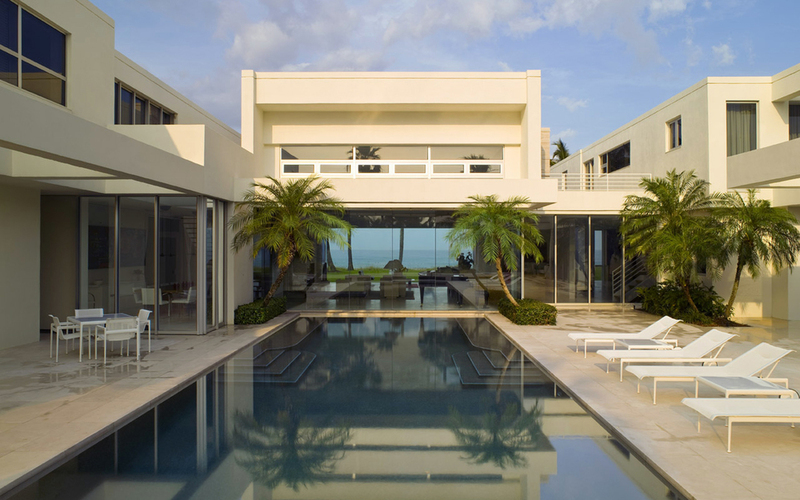 The residence is divided into three (3) two-story pavilions connected by one - story hallways that in plan form a leeward side pool courtyard. 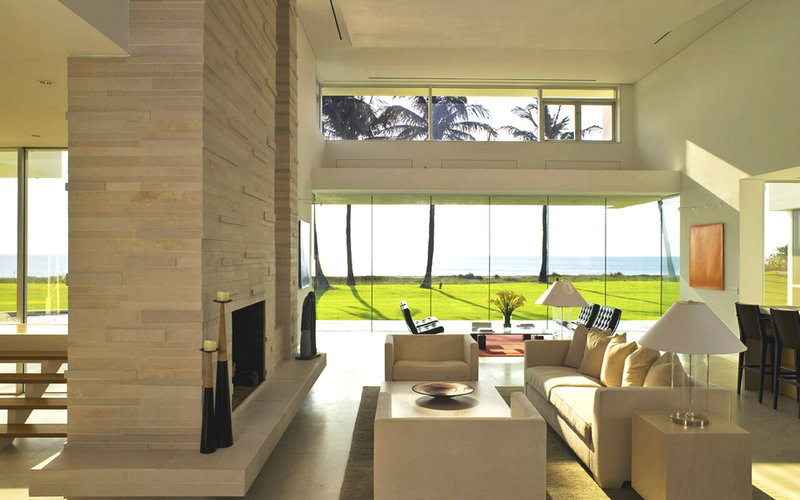 A broken roof line diminishes the building's mass, while a continuous louvered sunshade aligned with the first floor ceiling creates a viewing frame aligned with the distant ocean horizon. 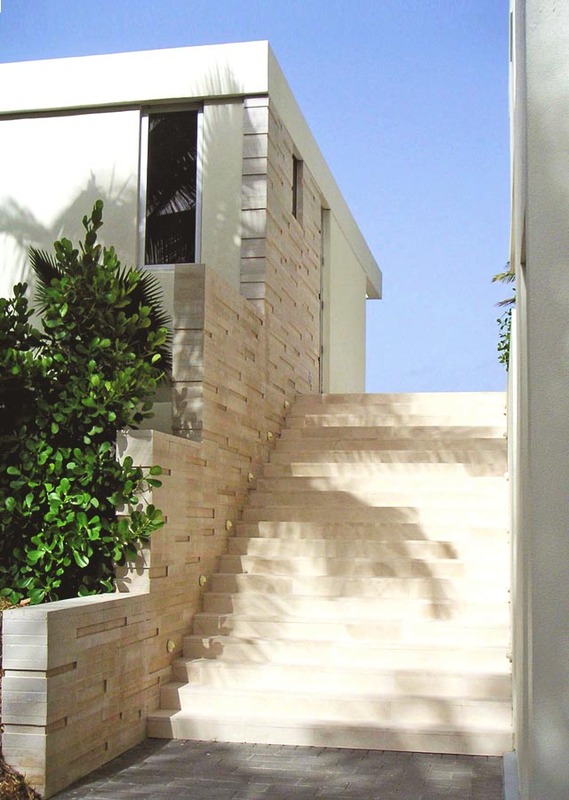 Cantilevered slabs of the second level are connected to the limestone pavers at ground level by expanses of floor to ceiling glass, floating the upper volumes and further lightening the building's presence. 2 story high isolated stone walls anchor building to ground at defining locations. Pavilion adjacencies are organized by the amount of time they're occupied--the least used southern entry pavilion has two upper guest rooms and an office and media room below; a single living room occupies the middle pavilion; the north pavilion is where day to day living occurs- garage, kitchen, family room and the master suite stacked one above the other. 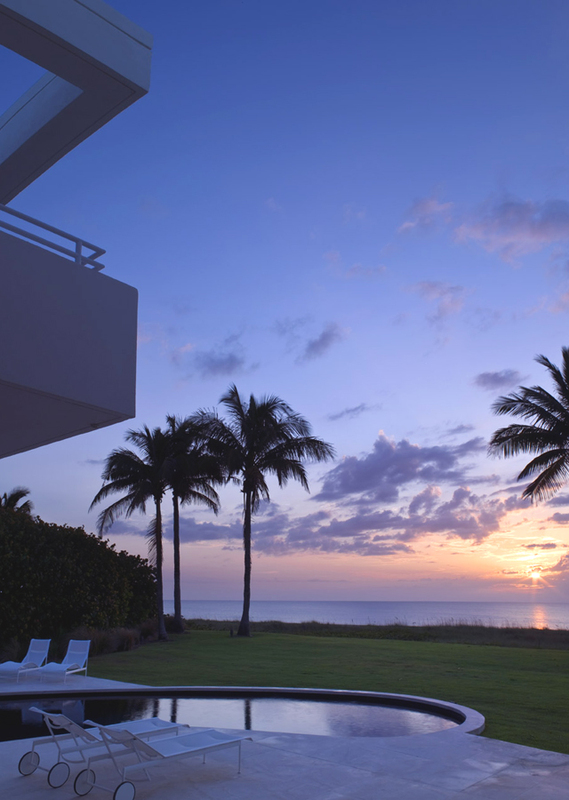 Post - tensioned concrete beams allows an unobstructed view of the ocean from all of the eastern rooms. The western pool fills a courtyard created by the pool cabana and sun sheltering breezeway. The vast living room with its undulating ceiling provides numerous views and seating areas, some intimate, some expansive.